You may not think the holidays would be a good time to list your home for sale. For many people, the holiday season can be an extremely busy, and stressful time – family from out of town, holiday travel, house decorations, dinner parties, gift shopping. 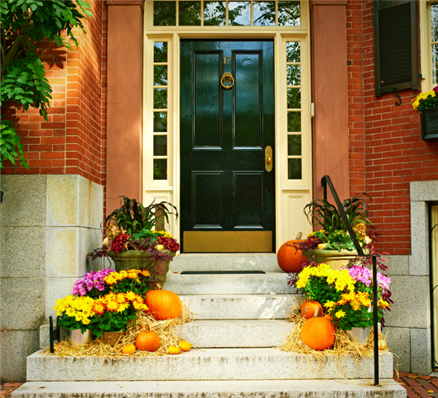 The thought of selling your home during the “most wonderful time of the year” can be daunting. But putting your house up for sale around the holidays has its benefits, granted you position your home right. You may not get into a bidding war, but you are going to deal with serious buyers who are ready to pull the trigger. There’s less inventory. Many people may agree that spring is the season to get the most from a home sale. But studies have shown that homes listed around the holidays can not only command more money, but can also sell quicker than ones listed in the spring. One of the reasons is there is less competition during the holidays. In the spring, inventory usually picks up, and price wars break out in coveted neighborhoods. But during the holidays, there will be limited choices which means a home seller can have a higher asking price. Serious buyers. Anyone who is shopping for a new home around Thanksgiving, Christmas or New Year’s is undoubtedly going to be a serious buyer. While hitting open houses is a favorite pastime for many, not a lot of people are going to be spending their time around the holidays looking at homes, if they aren’t ready to make an offer. Your home looks its best during the holidays. Seasonal decorations, cozy fireplaces, and the smell of pumpkin pie make a home feel warm and inviting. During the holidays, homeowners can stage their house to give off the comfy and homey vibe that appeals to many home buyers. Buyers tend to be more emotional during the holidays and will make decisions based on the feeling a house conjures up. Your neighborhood may look more appealing. One of the staples of the holiday months, particularly Christmas, is that many people adorn their homes with festive lights and decorations. Lighted snowflakes, wreaths and reindeers might be seen up and down the streets. People purchasing a home during that time may see the neighborhood in a different light and may be more willing to consider an area that they may have been on the fence about. Timing is perfect for transfers. The end of the year is typically the time when people get notified that they will be moving because of a job transfer. Those people would need a house sooner rather than later, and as a result will be hunting for a new home during the holidays. These buyers can’t wait for the spring, which is why listing during the holidays can get the home sold quickly. End of year tax breaks. If a home sale closes before December 31st, buyers can deduct the mortgage interest, property taxes and interest costs of the loan for that same year’s personal income tax filing. The tax deductions can be significant and could prompt a homebuyer to move during the holidays instead of waiting until spring. Adapted from an article on Investopedia.com.